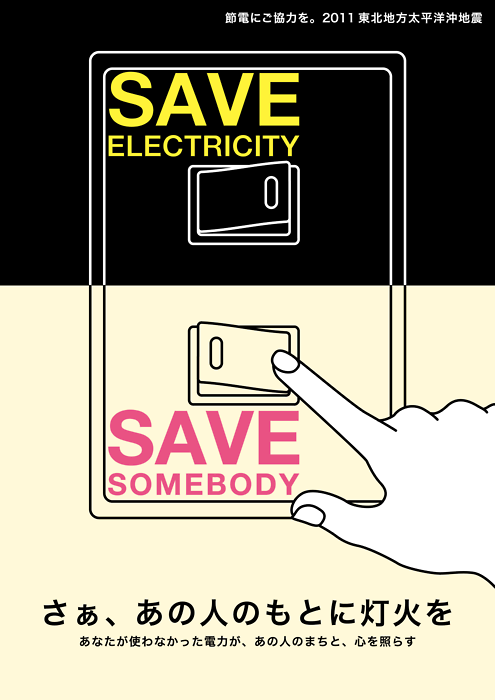 During hot summer months where electricity is consumed the most, signs and campaigns about electricity conservation can be found throughout the cities. 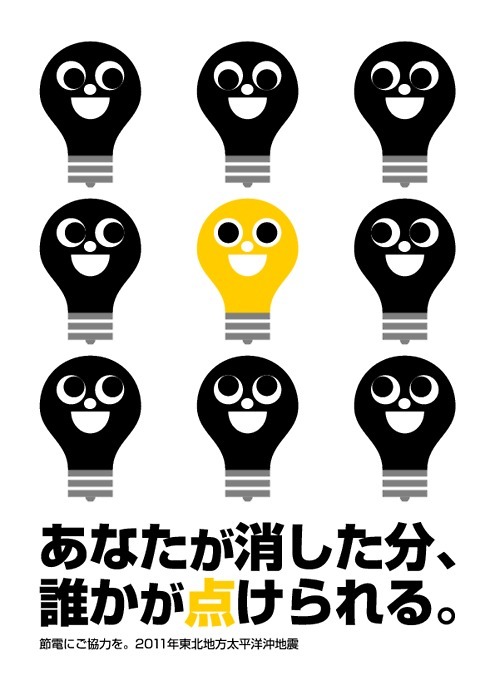 More efforts were put this year due to Japan's recent earthquake devastation and nuclear power plant incident. 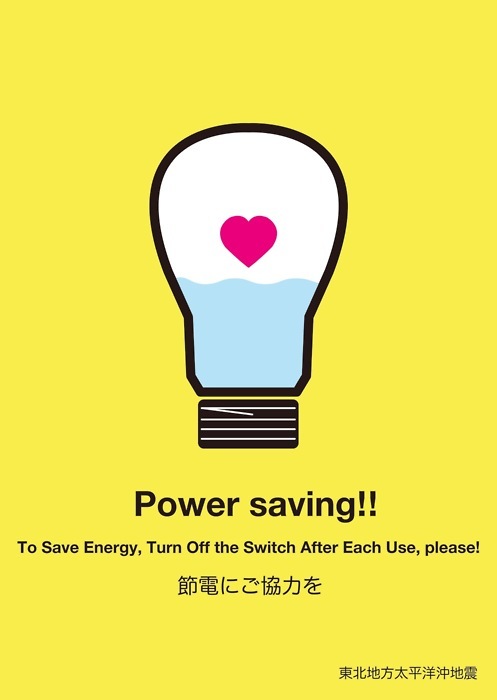 "Setsuden," meaning "saving electricity," must be practiced by every company and every person in order to sustain the country throughout the summer. 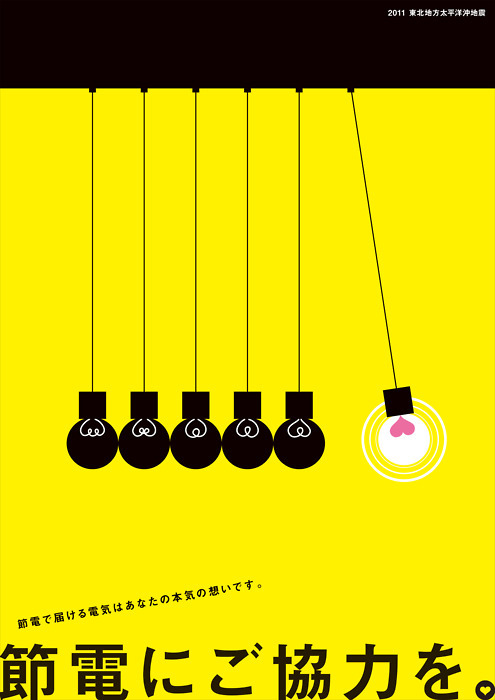 A group of graphic designers jumped on the bandwagon and created a series of setsuden posters to help in encouraging the practice. 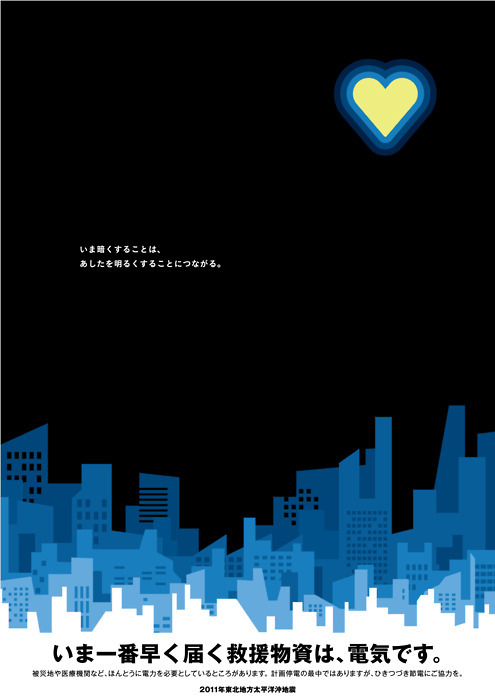 These posters, along with other forms of promotions can now be found throughout Tokyo and surrounding areas. 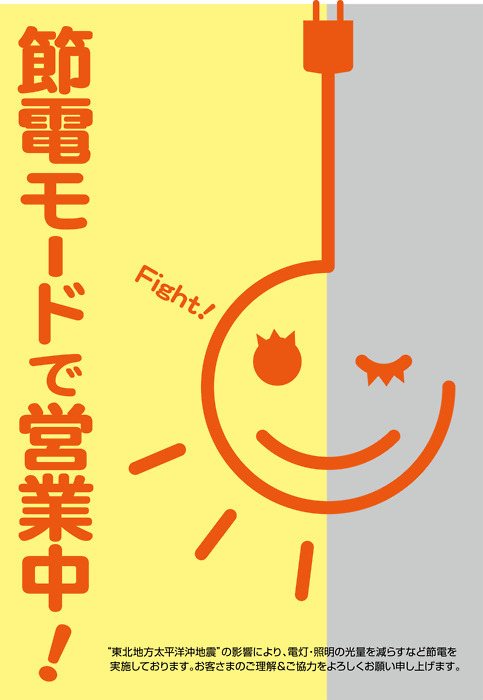 Don't you think "setsuden" shouldn't be practiced in Japan only? 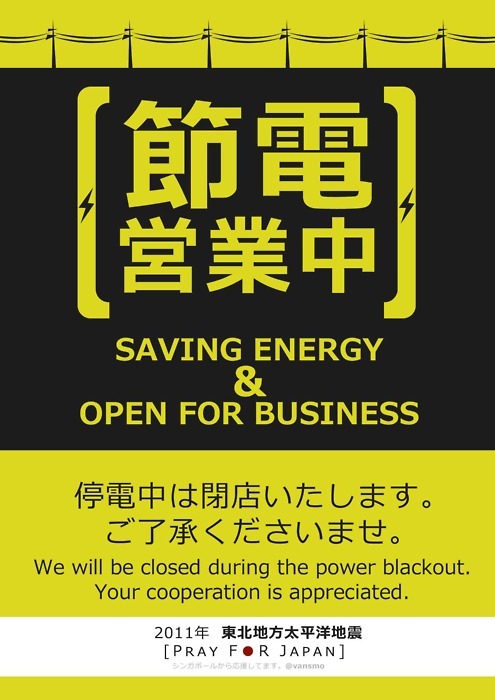 Even countries with no electricity outage problems should be practicing electricity or more so energy conservation just for the sake of our planet earth. 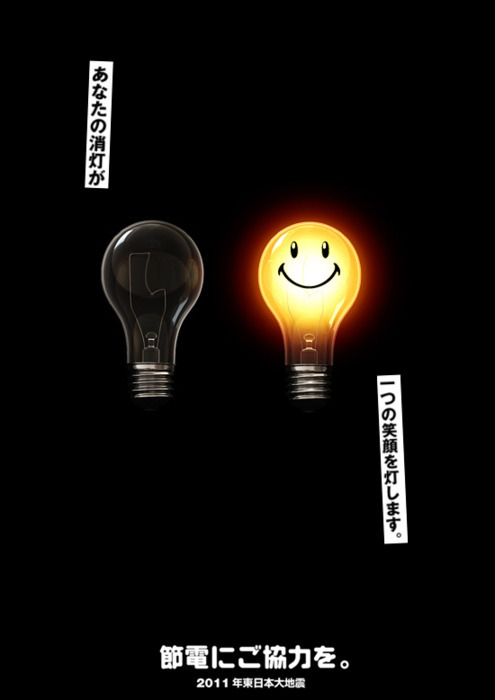 Electricity conservation can be as simple as 1, 2, 3 once you successfully transformed these "efforts" into "habits!"